Okay, let's get this all out in the open- I have two disclaimers. Disclaimer Number One: I did not read this book, but listened to the audiobook version read by the author. 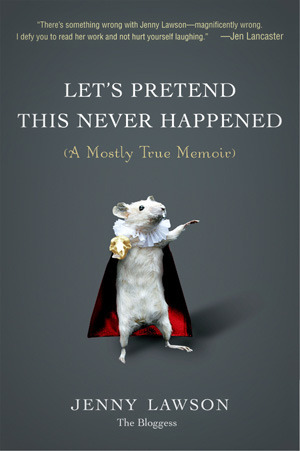 Disclaimer Number Two: As a blogger and a lover of funny, I really wanted to like this book. I'm sorry guys, I feel like if there was some kind of blogging corporal punishment, I would be publicly flogged for stating this, but it was just not my cup of tea. "Jenny Lawson realized that the most mortifying moments of our lives—the ones we’d like to pretend never happened—are in fact the ones that define us. In the #1 New York Times bestseller,Let’s Pretend This Never Happened, Lawson takes readers on a hilarious journey recalling her bizarre upbringing in rural Texas, her devastatingly awkward high school years, and her relationship with her long-suffering husband, Victor." I get why people enjoyed this book. 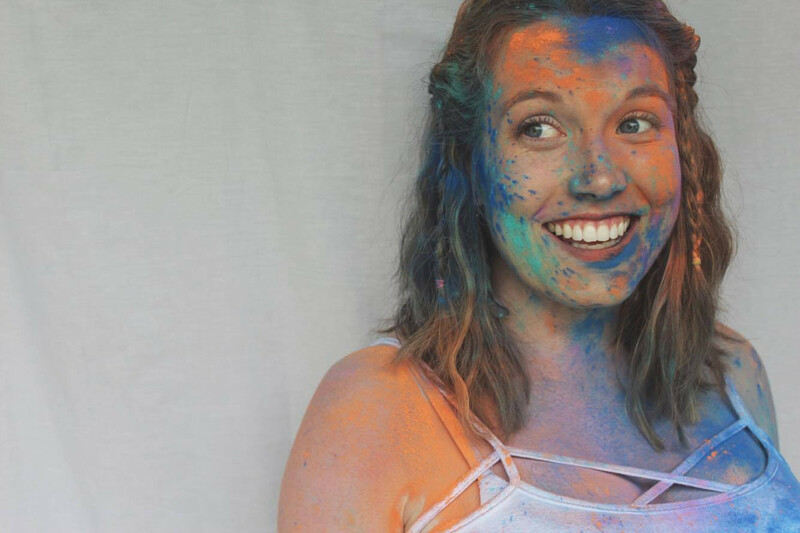 Jenny Lawson is quirky, snarky and a self-described misfit. With that being said, I really felt like she was trying too hard to make this book funny. And as I mentioned, maybe it's because I listened to the audiobook which made it much more pronounced, but if I had to hear one more sentence that started with "Probably because..." I felt like I was going to lose it. I don't want to be overly negative, though, because this book did have some redeeming moments for me. The chapter in which she describes her pregnancy and birth of her daughter brought tears to my eyes. In these stories, I felt like there was nothing forced about Jenny Lawson. She was unbelievably brave and vulnerable and I loved her for it. So have you read Jenny Lawson's book? Did you love it?